Travel Nurses Day || 10.12.18 || Travel Nurses Only! Play games - win prizes. IT’S YOUR DAY TO CELEBRATE YOUR JOURNEY! Travel Nursing lets traveling healthcare pros like you take your skills on the road and see the country while you build an amazing career. Though we know you work tirelessly in pursuit of superior patient care and always aim high in your adventures, you make it all look so easy and amazing. For that and so many other reasons, Medical Solutions celebrates YOU this Travel Nurses Day, October 12th, with quizzes, prizes, music, and more! Go ahead and bask in the glory — you deserve it. Travel Nursing is about the destination and the journey. The world is often pretty as a postcard from your vantage point, so show us your epic #PostcardsFromTheRoad! Share pictures of people and places like roadside attractions, new co-workers, the mountain you just climbed, the scrumptious pastry you just devoured, or your beloved dog, kiddo, BFF, or bae! The only rule is to share pics from your Travel Nurse journey. 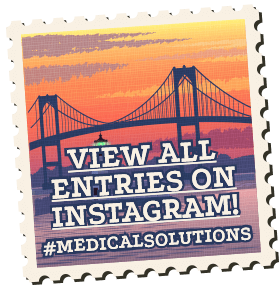 To enter, share your images to Instagram with the hashtags #PostcardsFromTheRoad and #MedicalSolutions. If your picture is one of our top five faves, you could win one of five $300 Amazon gift cards! Pro Tip: Your Instagram account must be set to public in order to win. Adventure is a many-splendored thing. What kind of escapades and experiences make you want to send a postcard home? Take this quiz to discover your unique style of adventure — and for the chance to win one of five $50 Amazon gift cards. Many factors go into choosing the right location for your next Travel Nursing adventure. Take this quiz to find out where you should travel next — and for the chance to win one of five $50 Amazon gift cards. Hit the gas and pump up the volume! In honor of Travel Nurses Day 2018, this special collection of songs is the perfect soundtrack to your epic journey. Medical Solutions is a healthcare staffing company that caters to nurses. 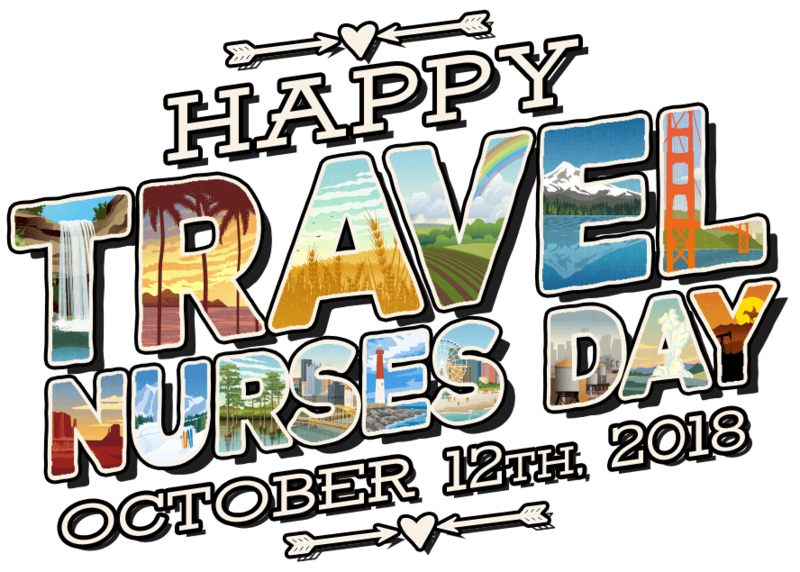 We created Travel Nurses Day in 2013 to celebrate all the amazing nurse road warriors out there who deliver care where it is most needed nationwide. Wanna hit the road with us? Click here to get started! KNOW SOMEONE WHO WANTS TO TRAVEL? When one of your friends accepts a travel assignment with us and works 30 days or more, you get a $500 referral bonus! There’s no limit to the number of referral bonuses you can earn. It’s a total win-win-win. Want to travel with your friends? 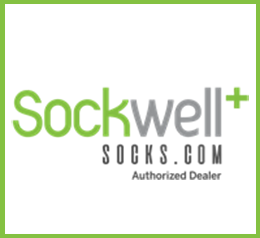 Refer them now! 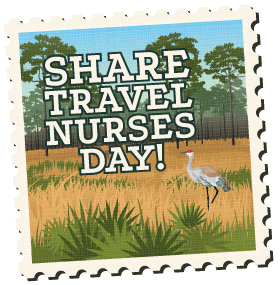 Join in the Travel Nurses Day fun throughout the social media universe. Follow us on Facebook, Instagram, Snapchat, and Twitter. A special thanks to our amazing Travel Nurses Day 2018 sponsors! Knowing the rules is half the battle. Let’s all play fair and have fun. Please enter your email address to begin the quiz. Which activity is at the top of your bucket list? What kind of food would you love to eat for 13 weeks? Do you prefer hot or cool temps? What sort of activities and experiences float your boat? Do you prefer a big city or small town feel? Adventure is a many-splendored thing. What kind of escapades and experiences make you want to send a postcard home? Take this quiz to discover your unique style of adventure! It’s lunchtime on your day off. What are you up to? Meeting a friend for lunch at one of the city’s best farm-to-table spots Going skydiving for the first time! What’s the most exciting thing that happened on your most recent assignment? Spelunking my way through Missouri’s many caves Dining at Spago — next to Wolfgang Puck! Which influential individual do you most admire? What do you look for in Travel Nurse assignment location? Do you know of a few hard-working nurses with a penchant for traveling? If you have friends or colleagues you think might be interested in Travel Nursing, tell them about Medical Solutions! When you do, your friend could get a great new gig and you could receive $500! So, what are you waiting for? 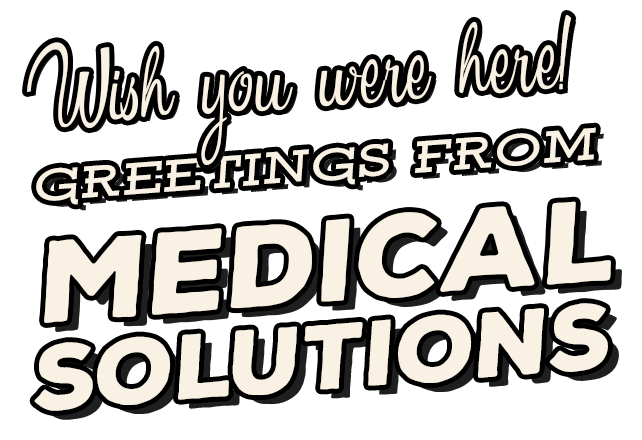 Refer your friends and help us share the Medical Solutions love today! This contest is sponsored by Medical Solutions, L.L.C., 1010 North 102nd Street, Suite 300, Omaha, Nebraska 68114. There is no purchase necessary to enter or win. 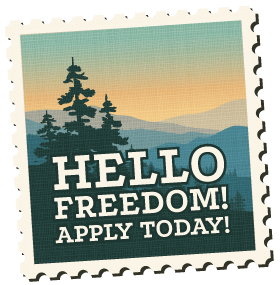 This contest is open to legal residents of the United States who are eighteen (18) years or older at the time of entry and are a traveling nurse; however, the contest is void where otherwise prohibited or restricted by law. Internal corporate employees of Medical Solutions, L.L.C., its affiliates, licensees, franchisees, advertising and promotional agencies and the immediate family members of each are not eligible. You must be a travel nurse to win all drawings and contests. Verification will be required. We MAY confirm your last travel assignment with the Agency of Record. To enter the quiz drawing, you must complete the required quizzes from now until Sunday, October 14, 2018, at midnight CT.
To enter the #PostcardsFromTheRoad Photo Contest, share your images to Instagram with the hashtags #PostcardsFromTheRoad and #MedicalSolutions. You may also enter by submitting your photo to Contest@MedicalSolutions.com. Either method of entry must be completed no later than Sunday, October 14, 2018, at midnight CT to be eligible to win. All winners will be drawn and contacted the week of October 15, 2018. User performance and/or results in the quizzes have no bearing on eligibility and will not affect your chances to win, with the exception of the #PostcardsFromTheRoad Photo Contest which will be judged on composition, originality, clarity and quality of photo, color and creativity. Your Instagram account must be set to public to be eligible to win the #PostcardsFromTheRoad Photo contest. Images submitted as entries to the #PostcardsFromTheRoad Photo contest may be used on Medical Solutions’ website, social media, and other platforms. 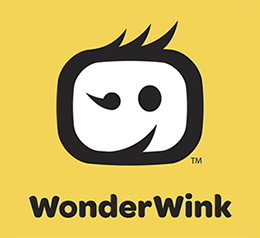 Users will be given a maximum of one entry per drawing regardless of the number of times a quiz is completed. Actual odds of winning will be based on total number of entries. Winners are responsible for any applicable local, state and/or federal taxes associated with winning a prize. Winners will be notified by email and announced on this and other websites using only their first name and last initial. “Display names” cannot contain offensive or lewd language. Doing so will result in forfeiture of all entries earned. Any quiz result shared is at the sole discretion of the user. Travel Nurses Day, Medical Solutions, and its affiliates are not responsible for the user-generated content. By entering, participants agree to be bound by these rules and the decisions of Medical Solutions which shall be final. All federal, state, and local laws apply. Medical Solutions and its employees, officers, directors, shareholders, agents, and representatives, affiliates, subsidiaries, and advertising, promotion and legal advisors are not responsible for and shall not be liable for: (i) late, lost, delayed, damaged, misdirected, incomplete, illegible, or unintelligible entries; (ii) telephone, electronic, hardware, or software program, network, Internet, or computer malfunctions, failures, or difficulties; (iii) errors in transmission; (iv) any condition caused by events beyond the control of Medical Solutions that may cause the contest to be disrupted or corrupted; (v) any injuries, losses, or damages of any kind caused by a prize or resulting from acceptance, possession, or use of a prize, or from participation in the contest; or (vi) any printing or typographical errors in any materials associated with the contest. Medical Solutions reserves the right to disqualify any participant or winner who, in its sole suspicion, tampers with the entry process, violates these rules or the Site Terms and Conditions, or acts in a disruptive manner. Where Should You Travel Next? : Five randomly chosen winners will each receive a $50 Amazon gift card. What’s Your Adventure Style? : Five randomly chosen winners will each receive a $50 Amazon gift card. #PostcardsFromTheRoad Photo Contest: Five winners will each receive a $300 Amazon gift card. Any inquiries or questions regarding this contest, including any request for the names of the winners, may be sent by email to Contest@MedicalSolutions.com or by regular mail to Medical Solutions, L.L.C. at the address set forth above.